A big bunch of content just dropped on Rainbow Six Siege players with Operation Chimera, and leaks for the next big addition are already starting to pop up. Now we’ve got what looks to be a glimpse of the new Italian operators, with a quick clip introducing Alibi and Maestro. The placeholder video appears in the game files since the latest update, and is currently viewable on Reddit. Check out everything we know about all of the new operators for Rainbow Six Siege. 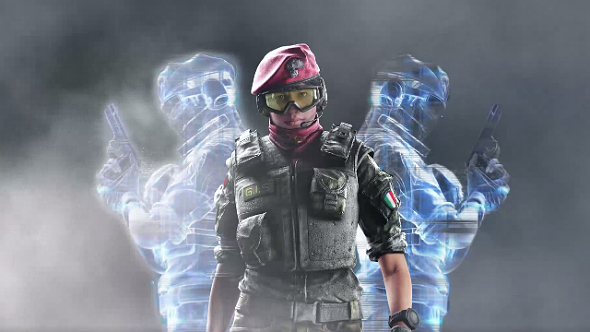 Alibi appears to be the hologram operator hinted at by previous leaks, with an ability that will likely let her use a decoy to bait the enemy team. 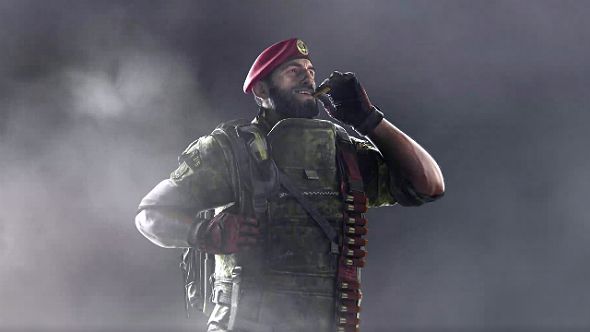 Maestro doesn’t match up with that new leak, but based on the ability name shown – “barrage” – and his ammo-packed bandolier, he might be the operator who gets to wield the AA-12 shotgun first seen in an ages-old client dump. Take the leaks with as much confidence as you would any unofficial info. But bearing in mind how many accurate leaks we’ve already seen for Siege, including the most recent operators Lion and Finka, and it might be more surprising if these aren’t our next two operators.